Planning a visit to Bali? Chasing a hotel near the heart of the action? We feature 91 hotel options within a radius of 5-kilometre of the city centre. The Villa Amrita and the Bidadari Private Villas & Retreat are not too far from the city's centre. The Royal Pita Maha and the Chapung SeBali Resort and Spa are also worthwhile choices. Kemenuh is an excellent surburb that is just 7 kilometres from the center of the city. With 9 places to select from, you're certain to find somewhere that'll suit your needs. Wotif suggests looking into Villa Puri Darma Agung and Anusara Luxury Villas - Adults Only. Another neighbourhood is Penestanan, which is approximately 8 kilometres outside of the main sector, with 13 accommodation options available. You'll find The Sungu Resort & Spa and Villa Nirvana waiting for you in this area. 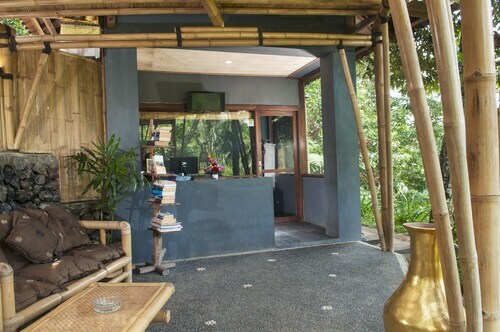 You might like to book a hotel situated in the area of Ubud Monkey Forest. The Viceroy Bali and the Four Seasons Resort Bali at Sayan are popular options. The Viceroy Bali is 3 kilometres away from Ubud Monkey Forest. The Four Seasons Resort Bali at Sayan is 3 kilometres away. For those wanting to save money, Tegallalang has a small number of choices. The best choice is the Ubud Sawah Homestay. For more options, checkout the Legian, Bali and the Bale Gede Villas. They are located 30 kilometres and 30 kilometres respectively from the main center. Some more alternatives are the Alila Villas Soori, 30 kilometres away, and the Peppers Seminyak, 30 kilometres. The close by localities of Kerta and Marga are certainly worth exploring. Kerta is 11 kilometres to the north of Tegallalang, while Marga is 12 kilometres to the west. 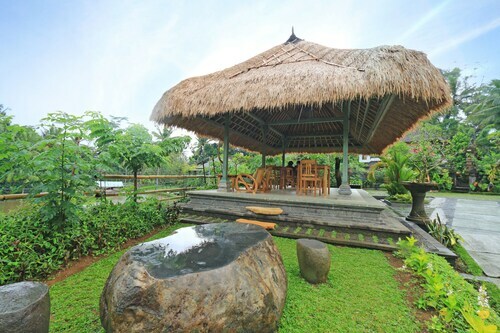 Accommodations in Kerta are the Puri Sebatu Resort and Padma Resort Ubud. Marga choices are the Yeh Panes Bali and Rumah Desa. Ngurah Rai International Airport a logical gateway to Tegallalang. Nearby hotels include the Four Seasons Resort Bali at Jimbaran Bay and the Temple Hill Residence Villa. How Much is a Hotel Room in Tegallalang? Hotels in Tegallalang start at AU$88 per night. Prices and availability subject to change. Additional terms may apply. We stayed at the Royal Suite room for 4 nights. Our taxi ride to the resort from the airport cost us 340 000 rupiah. The resort staff were very welcoming and the check-in process was easy. The stairs to our suite were very steep, but the lush hillside landscape was beautiful. Our bed had a mosquito net, which proved very helpful as we did encounter a variety of insects(to be expected anywhere in Bali!). The suite itself was stunning, with breath-taking views. The room TV was quite small but it did have a decent amount of international channels. One of the things to consider is the location of the suite was right above the recreational swings where there were very 'enthusiastic' workers who yelled a lot. It didn't bother us much, but it's something to consider if you don't like too much noise. During our stay there were 2 dogs residing next to us(they belong to the owners). They did bark continuously in the early hours of the day(8am ish), and then again late at night(10pm). We own 2 dogs in Australia that bark a lot too, so we were quite used to that kind of noise- but it's something to consider if you don't like a lot of noise. We had 2 massage sessions with the resort spa- they were very relaxing. We ordered a lot of room service and found it to be prompt and reasonably priced. Overall, a delightful experience and we would love to return in the future! I cannot recommend Inang Villa highly enough. Puto and Kadek radiate warmth and hospitality, and have a great eye for the small details. Food was delicious, peaceful and serene surroundings, great pool and massages. Very affordable! Was very sad to leave as this accommodation really made my Bali experience. Will be back!